Staithes Art School enjoyed a wonderful year in 2018. 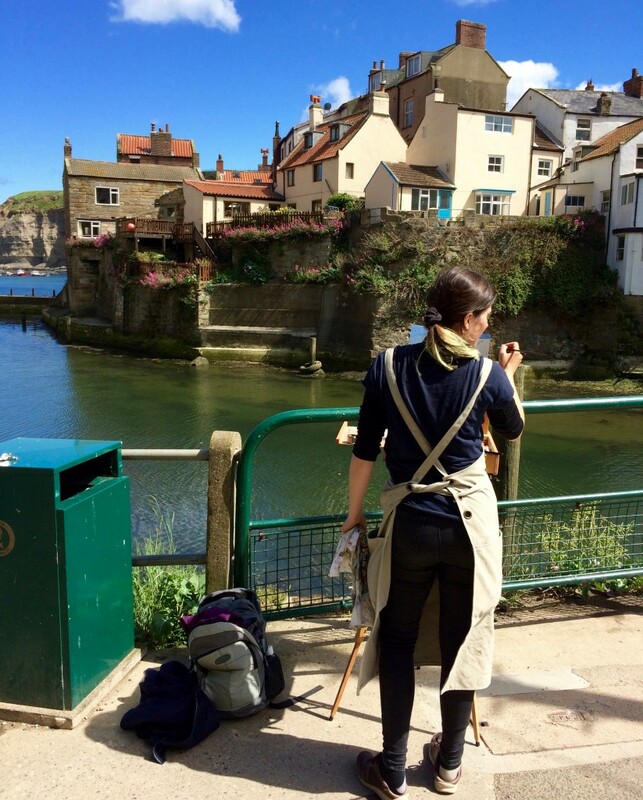 Lots of our old friends came back to paint in this delightful and inspiring location and many more new painters discovered Staithes for the first time. We have put together a similar programme of highly stimulating Residential Painting Weekends for the coming year with tutors who are specialists in a variety of media. All of them are experienced at working with students of all abilities, so whether you are just starting out or already a proficient painter, they will be able to help you progress. The piercing North Sea light, towering cliffs and moody seas of Staithes have always attracted artists. The winding paths up and between picturesque cottages offer immense variety of perspective. No matter how much time you spend here you will never run out of subjects for painting. With help and advice from our experienced tutors, themselves professional artists, even the complete beginner can produce excellent results. 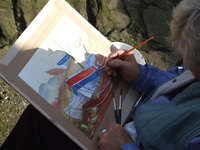 Most artists will tell you that the best way to paint in Staithes is en plein air as the Staithes Group liked to paint. But even they had to take cover from time to time. 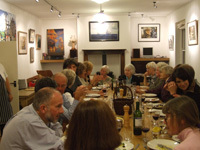 At Staithes Art School we have a large light room above Staithes Gallery where you can work indoors. We provide comfortable accommodation with a help-yourself breakfast in our elegant Georgian maisonette above Staithes Gallery and beautiful apartments in our newly restored Wesleyan Chapel close by in the village. Dinner with wine, prepared by award-winning chef Lisa Chapman, is served each evening in the large private dining room above the gallery. 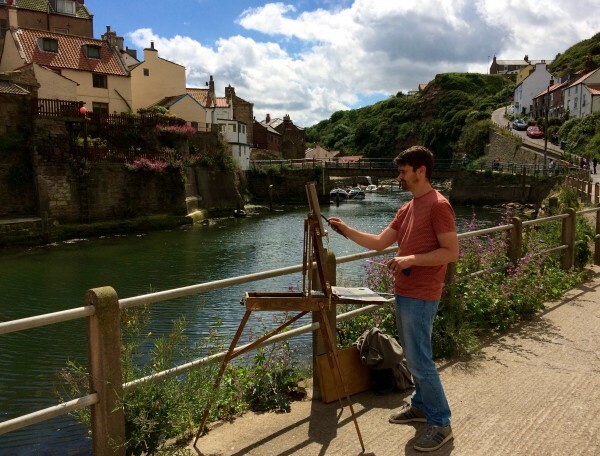 Staithes Art School is a real opportunity to put aside everyday cares and concerns and to concentrate on painting in a relaxed and friendly environment. Non-painting partners are also welcome and there are many other activities available in Staithes and the surrounding area: sailing, fishing, cycling, walking, surfing, golf – to name but a few. Please contact for details. If you have any further queries about Staithes Art School or wish to make a booking, please telephone Al Milnes on 01947 841840 or 07972012464.